The new Ukrainian church is expected to be granted legitimacy Sunday, the eve of the Orthodox Christmas, when its newly elected head, Metropolitan Epiphanius, travels to Istanbul to receive an official charter from the Constantinople patriarchate, a longtime rival power center to Moscow. 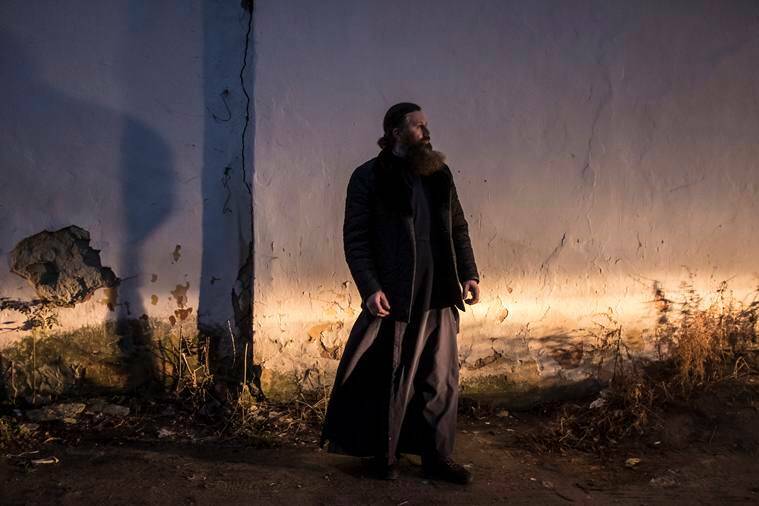 Fueling Ukraine’s fears, some Orthodox priests loyal to Moscow sided openly with Russian-backed separatists who seized chunks of eastern Ukraine in 2014, when Moscow annexed Crimea. On the other side, President Vladimir Putin of Russia, having promoted himself for years as a defender of Russia’s reach as an Orthodox power, also has a keen political interest and desperately wants to keep Ukraine under the wing of the Moscow patriarch. But in December, Ukraine’s president, Petro Poroshenko, and nearly 200 bishops and other church figures gathered in St. Sophia’s Cathedral in Kiev, the capital, to choose the head of a new autonomous Ukrainian church, sealing the country’s intention to sever religious ties to Moscow patriarch Kirill I. The Moscow patriarch claims oversight over Orthodox communities in Russia and most of the areas of the former Soviet Union and has been struggling since Ukraine’s declaration of independence in 1991 to maintain a hold over what his church views as a wayward province. For now, the Moscow patriarch oversees the world’s largest community of Orthodox believers, some 150 million faithful — half the number of Orthodox worldwide. 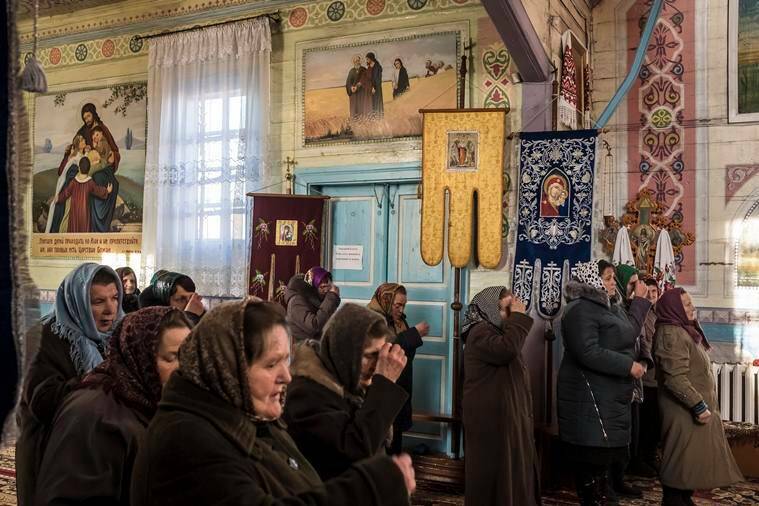 The loss of Ukraine’s Orthodox believers would shrink the number of parishes that look to Moscow by a third. “I had no idea what they wanted and still don’t,” Kolesov said. 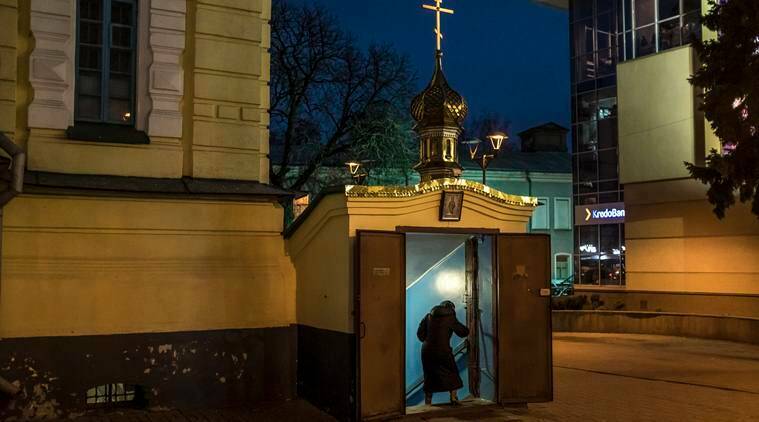 “They just want to create their own pocket church and divide people,” said Archbishop Pimen, senior Moscow Patriarchate priest in Rivne, capital of the western region that is the focus of a treason investigation by the Ukrainian security service. For Russia under Putin that means the right to assert itself as a religious and moral as well as military power through command of the Orthodox church. Keeping Ukraine under the Moscow-led church is vital for Russian claims on a millennium of history stretching back to Kievan Rus’. Vladimir the Great, a 10th-century Kiev prince who converted to Christianity, is celebrated in Moscow, where Putin unveiled a giant statue of him near the Kremlin in 2016, honoring Vladimir as one of the founders of the Russian state. The Ukrainian security service, he said, was not persecuting believers who want to remain under the Moscow patriarchate. It was only trying to “install real religious equality” by cracking down on priests who effectively supported Ukraine’s enemy. Serhiy Luchanin, secretary to the bishop of Rivne, who broke with the Moscow patriarchate to support a rival leadership in Kiev, said there were no plans to seize property. But, he added, it was perhaps time for a more equitable distribution of real estate. The Kiev Monastery of the Caves, where catacombs contain the remains of saints revered in Russia and Ukraine, for example, is owned by the Ukrainian state but occupied by followers of the Moscow patriarch under a long lease. Ukrainian authorities recently conducted an inventory and searched the home of its abbot. It remains to be seen how the property issues will be settled, and where the investigation by Ukraine’s security service will lead. When the priests were interrogated at the SBU’s regional headquarters in December, Archbishop Pimen showed up to offer them support and to denounce the proceedings as an affront to freedom of religion. Nachev, one of the interrogated priests, said that he had seen the pamphlet but that it contained nothing subversive, just the usual jeremiads that dominate Orthodox feuds. Kolesov, the village priest summoned for questioning, said this vastly exaggerated the grip of the Moscow patriarch. He gives his sermons in Ukrainian, not Russian, and considers Crimea, annexed by Russia in 2014 with the blessing of the Moscow patriarch, to be Ukrainian territory.